Hailey’s Hope Foundation hosted its 7th Annual Dinner Fundraiser on Saturday, September 12, 2015 at Park Place Catering at Otterkill Golf Course in Campbell Hall, New York. It rained, it poured, but the bad weather did not stop guests from coming out and supporting this fun-filled event. Guests enjoyed great cocktails, dinner, music, raffles and more with an Italian flare. Speakers, James and Julie Burton, brought the room to tears as they shared their son’s year-long NICU journey at Maria Fareri Children’s Hospital. 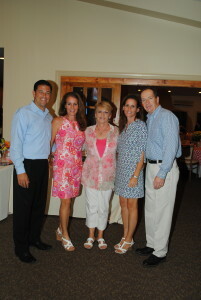 Hailey’s Hope Foundation raised over $28,000 to benefit NICU families. This would not be possible without the generous support of our sponsors, guests and volunteers. Many thanks to our Premier Sponsor–Orange Regional Medical Center; Participating Sponsor–DCH Wappingers Falls Toyota; Guest Gifts Sponsor–Edible Arrangements of Monroe; and Dessert Sponsors–Armistead Mechanical and Geico of Buffalo.